We know that poverty and gender inequality hits women in marginalized communities especially hard. To achieve real and lasting change it’s important that educational opportunities don’t end with school, leaving women facing an uncertain future. The Campaign for Female Education, Camfed, sets out to tackle poverty and inequality by supporting girls in rural sub-Saharan Africa to go to school, and empowering young women to become changemakers in their communities. After supporting girls through school, Camfed stands by young women to create economic and leadership opportunities. They are enabled to become role models and community activists, taking up positions of authority to challenge the status quo. Camfed’s has a unique alumnae association, CAMA. After secondary school, girls supported by Camfed, graduate into this powerful network of young women who support and mentor one another through life’s challenges. Founded by the first 400 girls, 20 years ago, today CAMA has 120,000 young women who are part of a rapidly expanding leadership movement. CAMA members are propellers of change in their communities, having survived the harsh realities of poverty and marginalization themselves. With personal knowledge and vested interest in giving back, CAMA’s young women leaders are eager to step up as mentors and role models, and provide solutions including economic opportunities for others. Here are examples of this dynamic leadership, through which CAMA members are transforming their communities. Camfed initiatives like our Youth Enterprise programs, and our partnership with organizations like the Mastercard Foundation, serve to equip young women with the training, seed capital, and skills to establish, sustain, and eventually grow their own enterprises. This enables young graduates to generate incomes, bringing increased prosperity and employment opportunities to their communities. CAMA member Ayisha from Ghana is the ultimate example of a woman changing the status quo. 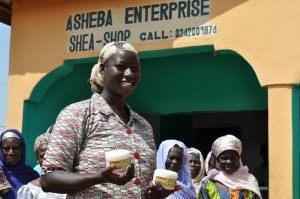 She employs more than 210 women from her community, processing high quality shea butter and traveling to nearby villages to organize and mentor other women for similar ventures. Ayisha has also built a school for her employees’ children to attend. She works with women to identify markets, provide training in financial literacy, and is also involved with local politics. In January of 2018, Ayisha and her business were recognized as Female Entrepreneur of the Year and Business Innovation of the Year at the Invest in Africa Awards. In rural sub-Saharan Africa, female role models are often scarce. The majority of those in positions of authority including teachers, other professionals and traditional leaders are men. CAMA members provide an invaluable source of inspiration and coaching for the next generation of girls in secondary education. In 2017 Ruka was elected by her 23,660 peers in Ghana as their CAMA National Chair. As founder of Jamilullah Farms, she has won respect and admiration for being the owner of a successful meat-processing business. Her business employs young people, helping them to pay for their education and become financially independent. 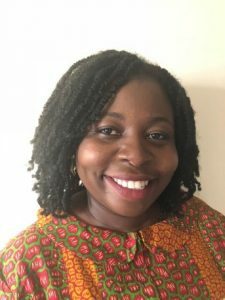 Recognized as a Mandela Washington Fellow for her entrepreneurship and activism, Ruka now supports more than 100 small businesses owned and operated by rural women, and has mentored over 3,000 young people. CAMA leader Pearl’s community work encompasses many areas, from mentoring students at her former secondary school to leading education advocacy campaigns. She is also a university student and entrepreneur, and reinvests profits from her business into her village, collaborating with traditional leaders, school officials, and families to ensure girls are supported to remain in school. When Pearl met Prospera, she had been forced to drop out of school aged 16. Unable to afford school fees, Prospera worried she would be confined to menial labor for the rest of her life. Pearl and other CAMA members led the initiative to pay her fees and ensure that Prospera had access to all the resources necessary to complete her education. Pearl’s support helped Prospera return to school, where she is now a prefect and enjoys her studies. On International Women’s Day, Pearl even inspired the former First Lady Michelle Obama with her story. Young women leaders like Ayisha, Ruka, and Pearl are role models for some of the most vulnerable girls in their communities, using their experiences to empower the next generation. They are part of a larger narrative of changemakers who are making lasting impact through economic opportunities, mentorship, and philanthropy. Like thousands of other CAMA members, they are living proof that when you educate a girl, everything changes. CAMA members like Pearl, left, multiply the return on investment by supporting more girls like Prospera in education. Dolores Dickson has over 15 years’ experience as an international development practitioner. Dolores joined Camfed in 2007. During her tenure as Regional Executive Director, Camfed West Africa, the Ghana program grew substantially in reach and influence. She led high-level dialog with the Ministry of Education securing the replication of Camfed’s approaches widely. In September 2017, Dolores took up her new position as Executive Director, Camfed Canada and Global Programs to lead Camfed’s newest operations. She has worked with the UN’s Economic and Social Council (ECOSOC) and with the British Red Cross in the UK.